Have you noticed how the majority of ‘free’ things from companies are after you have purchased something from them, and generally although it is something you wanted to buy it’s not something you needed or a necessity? Travel insurance is definitely a necessity although not as fun as those listed above, and we try to help that process by ensuring our website is easy to use, our calls are handled by experienced, friendly staff and queries get dealt with as soon as possible, which all helps make your journey that little bit better. We also email you with offers on your birthday and at renewal as a nice treat along the way. 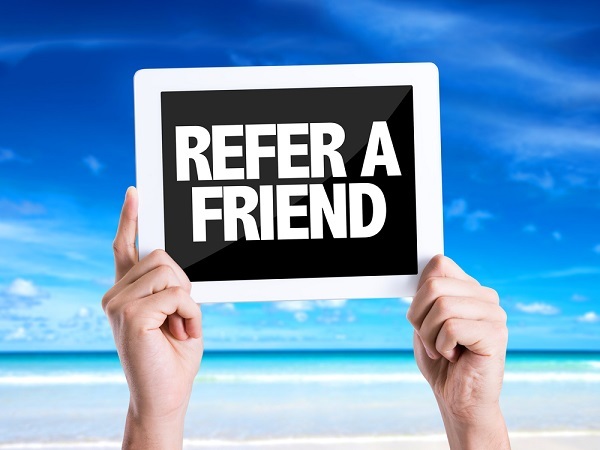 More recently, we have started a refer a friend scheme and all you need to do is register your details and then use the system to advise your family and friends to mention your name when recommending them to us, whether that be by word of mouth, email or your social media channels like Facebook or Twitter. If your friend goes on to purchase, you will both then be entered into our monthly prize draw where you could win £150 cash! Simple as that. You can enter as many times as you like, the more referrals the better. For more information and to get started referring, please take a look here.